Imagine maps as big as bedsheets, and then imagine the sheets big enough for beds made wide enough to sleep extended families. Only such a double stretch of the imagination can provide the scale of the three Burmese maps in the University Library’s collection, which have recently been made available online in digital format. From bedsheet to map is not a great leap: all three maps are inked or painted on to generous lengths of cloth. Yet they do not depict lines on a map as the eye in the 21st century is accustomed to seeing them. The most colourful of the three maps, the map of the Maingnyaung region [Maps.Ms.Plans.R.c.1] is the one which forces the most abrupt lurch, down from that comfortable view on high of modern mapping convention. Instead, the viewer is positioned near ground level, and invited here to view a stupa, there a crocodile down in the river, away in the distance a noble line of hills. Trees are no mere generic features. While the perspective is mostly from the ground, it co-exists with other even less familiar conventions. Pagodas and stupas either loom large or sit very small, their size and their sanctity apparently intermeshed. Towns and villages, rivers and streams are the sole features which come close to appearing from a bird’s eye view. Yet the neat tracings of brickwork, and of waves on the water’s surface, suggest they may be meant to convey not the lay of the land from the air but other rules of belonging, of enclosure or of flow. The other two maps, the map of the Royal Lands [Maps.Ms.Plans.R.c.3] and map of Sa-lay township [Maps.Ms.Plans.R.c.2], are less colourful than the first, but in some respects even more intriguing. 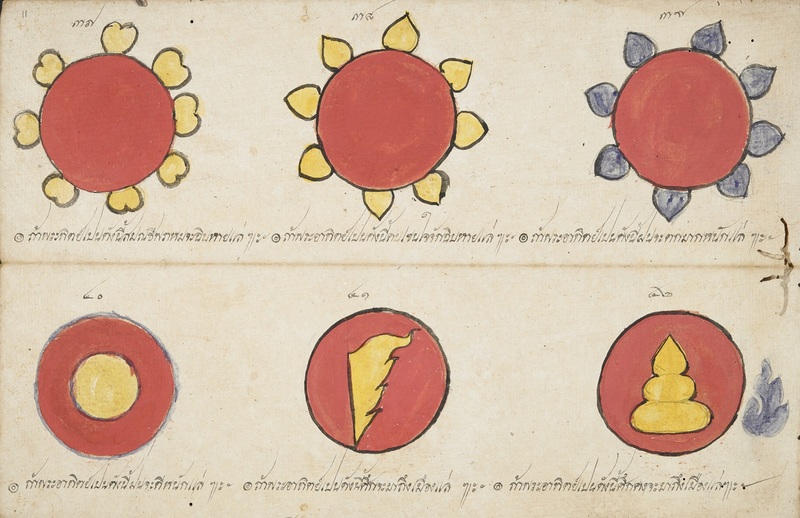 Like the Maingnyaung map, they take many of their bearings from ground level. Manmade landmarks use scales which vary, apparently, according to their importance rather than their physical size. With vegetation, there is an insistence on specifics. Yet both maps feature grids traced carefully and evenly across the entire surface. These maps present two worlds at once. There are vistas to be contemplated and meaningful features to be explored in the landscape. But there is also a view from on high, where trees were counted and areas under crop were calculated, and probably, somewhere off the surface of the map, converted into tax exactions. Photographing the Burmese maps was quite a challenge for the Library’s Digital Content Unit. The smallest map was made of 126 images, the largest of 420 and it had to be stitched into 9 parts first before being put into one piece. Some parts of the process took a few hours to complete for the computer with 64 GB RAM memory and 3Ghz 8 core computer. The biggest challenge was obviously handling. It was impossible to move the map without changing the arrangement. Hence the last map, the largest [Maps.Ms.Plans.R.c.3] took a long time to prepare as they had to experiment with different stitching methods. 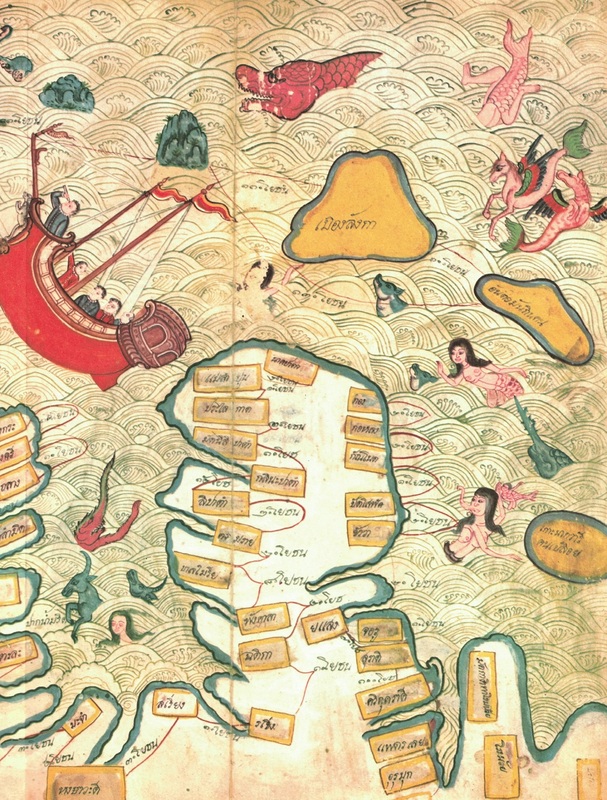 Great credit goes to the Map Department of the UL, both in finding the will and securing the resources to have the maps conserved and digitised, and to the Cambridge Digital Library, for producing digital pages so effortlessly navigable that they take nothing away from the joy of poring over them. They make it easier, in fact, to hover over the details, whether you are contemplating the view from the ground or from on high. What’s more, the speed of the internet has improved to such an extent in modern Myanmar, that these massive cloth maps can be viewed with ease in Yangon or Mandalay. Maps such as these are rare, non-existent even, in the location where they were originally made. No such maps produced on cloth are known to have survived within Myanmar today. This only adds to the hope and expectation that they will be pored over, enjoyed, and further studied and interpreted from quarters near and far. To read the full article on these three maps and their provenance written by Natasha Pairaudeau, please visit the Cambridge University Library Special Collections website. Thailand has an incredible variety of popular and traditional musics. The website Thaimusicinventory attempts to make Thai popular music available to people who are not Thai and also aims to facilitate the exchange of information and views between Thais and non-Thais. The Thai popular music industry is the most developed in the region and has an unbroken history that extends over 100 years (even through WWII). However, Thai popular music is generally not easily available outside Thailand and has not made any impression on Western sensibilities. The study of Thai music (both popular and traditional) is still in its infancy in comparison to that of China, Japan, Indonesia and India. Even in Thailand, the study of Thai popular music is often not considered to be a worthwhile activity. This website hosts articles on various aspects of Thai popular music, some scholarly and some more popular in approach, as well as lesson plans for high school teachers. 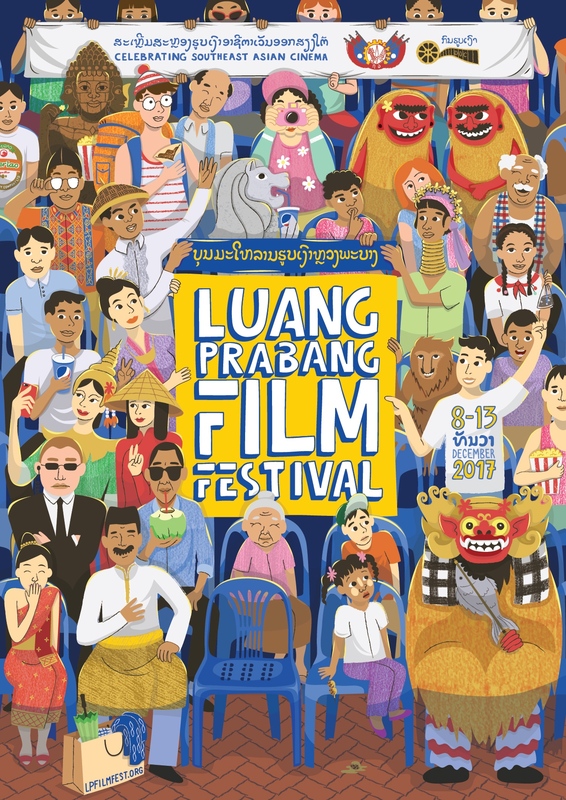 There are also links to the Isan music performances filmed by John Draper’s Khon Kaen University Isan Culture Maintenance and Revitalization Program. Of particular interest is a newly added page illustrating the breadth of the Thai 78 rpm Discographical Framework. The two main authors are Dr James Mitchell and Peter Garrity. James has studied and published widely on Thai music and Peter is a very well known figure in the Bangkok lukthung concert scene. Comments in Thai or English are encouraged and every effort to facilitate communication through these comments will be made. This website is only for educational purposes and is intended to foster a love of Thai music and Thailand. It is not for commercial purposes. The website has been developed with the generous support of the Australian Thai Institute, an Australian government body that seeks to build links between the two countries. Although the details of the life of the Buddha are not known for certain, there is scholarly consent that Gautama Buddha was an actual historical figure who lived around the 5th century BCE. Certain events of the Buddha’s life were recorded in the Buddhist traditions of South and Southeast Asia. The life of the Buddha is a favorite subject of Buddhist art, including manuscript painting. 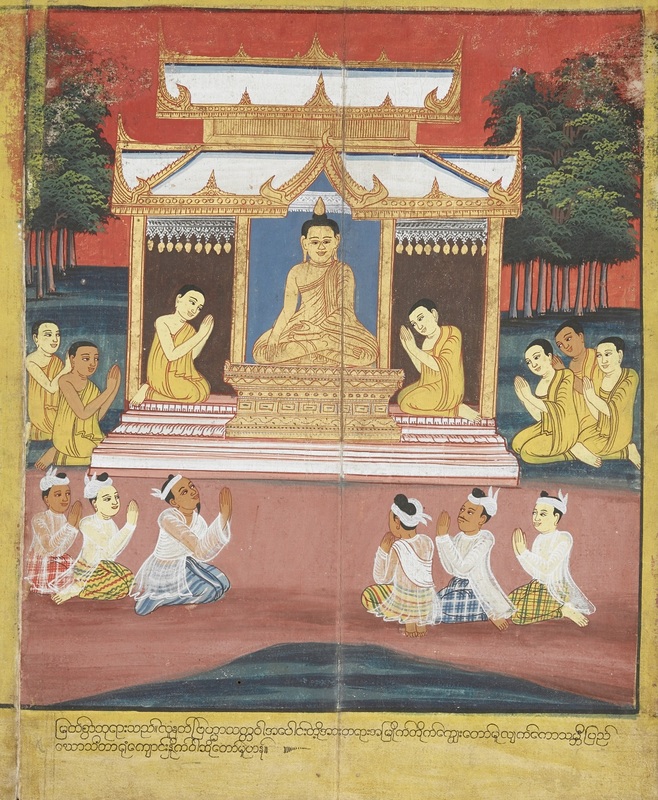 In the Burmese manuscript tradition, ‘The Life of the Buddha’ plays an important role although it is not known when exactly the first manuscripts on this topic were produced due to the fact that few pre-18th century manuscripts have survived. However, narrative representations of the Buddha’s life can be traced back at least to the 11th century when episodes from the Buddha’s life were depicted on sculptured friezes, plaques and mural paintings in the ancient capital Pagan. By the 19th century, series of manuscripts illustrating the life of the Buddha were produced and re-produced due to their great popularity. 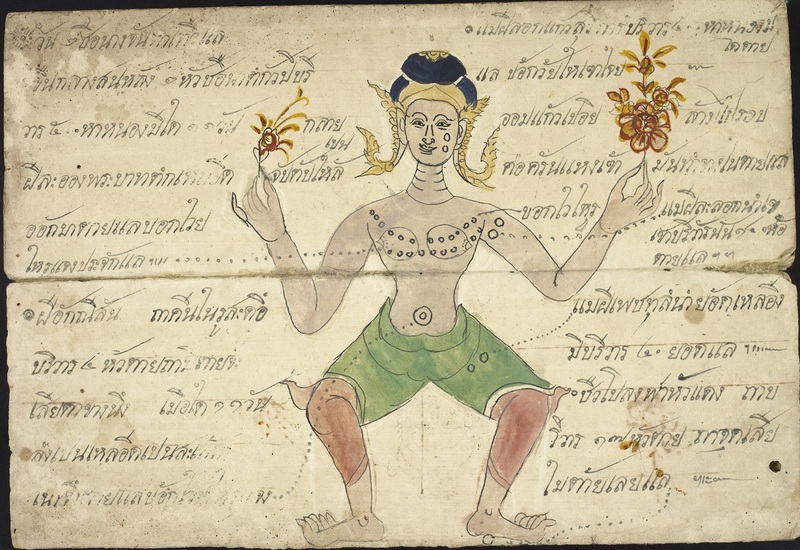 In this context, the Burmese manuscript tradition stands out among the Buddhist countries in Southeast Asia. 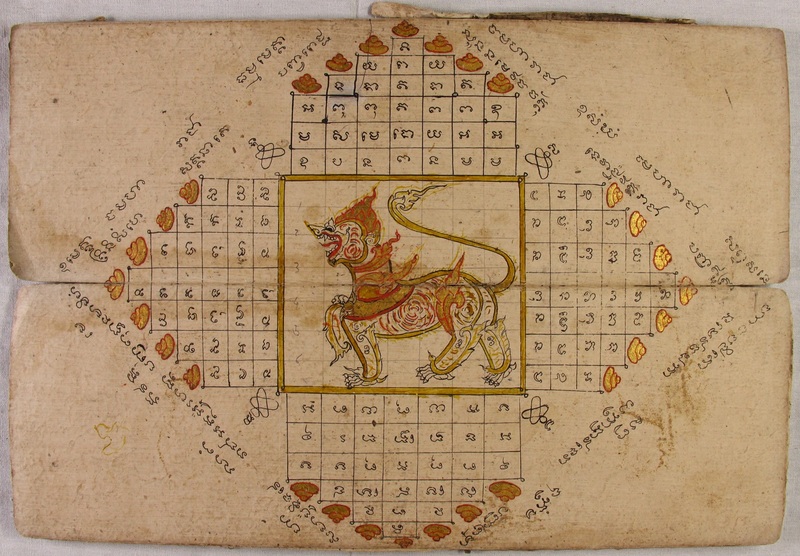 The format of these manusripts is usually the parabaik, a paper folding book. 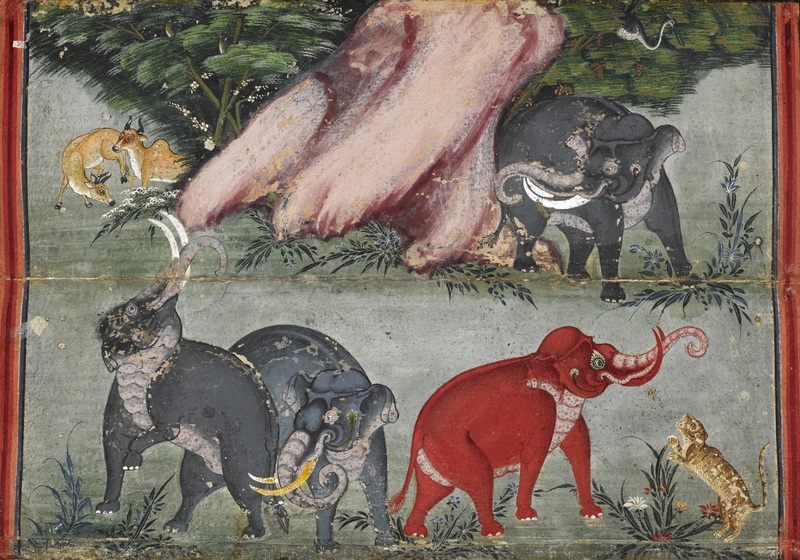 The British Library holds various illustrated parabaik manuscripts dedicated to ‘The Life of the Buddha’. Two of them were described in detail by Patricia Herbert in her book ‘The life of the Buddha’ (British Library, 1993). Three more ‘Life of the Buddha’ manuscripts have been fully digitised recently in a digitisation project funded by the Henry Ginsburg Legacy. All three manuscripts are now available to view online on the British Library’s Digitised Manuscripts page (Or.14197, Or.4762, Or.5757). 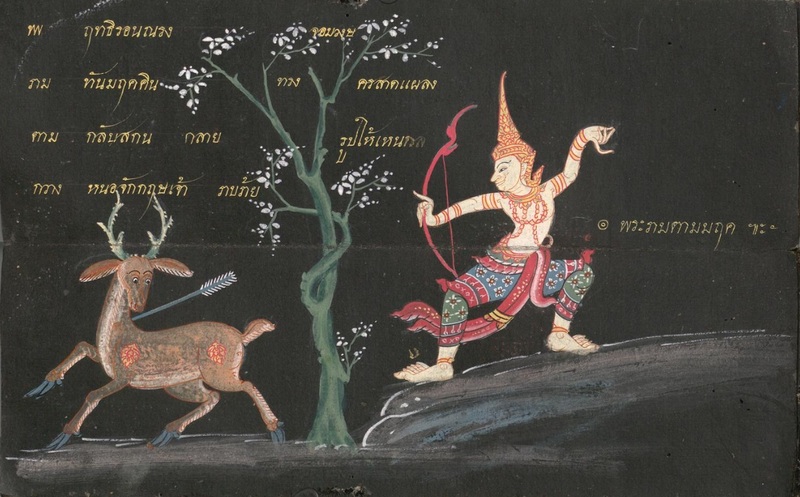 More details about these manuscripts can be found in an article by San San May, Curator for Burmese at the British Library, with the title ‘Burmese scenes from the Life of the Buddha’. Applications are invited for the Charles Wallace Burma Trust Visiting Fellowship which will be hosted by the Centre of South Asian Studies, University of Cambridge, in partnership with the Charles Wallace Burma Trust and the British Council in Burma. The Fellowship is intended to enable a Burmese scholar to conduct research on any aspect of modern Burmese history and society, and is open to scholars working in all disciplines related to this field. The Fellowship is for a period of three months during the Lent Term, 2015 (13 January to 13 March). The aim of the Fellowship is to advance the scholarly achievements of the visiting fellow, and thereby establish productive academic links between Cambridge and Burma. Candidates who have had financial support from the Charles Wallace Burma Trust in the past five years will not be eligible. Provided they are qualified in other respects, candidates with little or no prior international experience are strongly encouraged to apply. At the conclusion of the Fellowship period, the Fellow will be required to submit a report to the Committee of Management of the Centre of South Asian Studies and to the Secretary of the Charles Wallace Burma Trust outlining what he or she has achieved. An all-inclusive monthly stipend of £1,400 is offered by the Trust to cover costs at Cambridge, together with a contribution towards a return economy air fare from Burma, and the cost of the candidate’s UK visa. The Fellow is expected to make his/her own travel arrangements. The British Council in Burma will offer advice to the Fellow about securing a UK visa, and provide some pre-departure briefing. If you know of anyone from Myanmar (Burma) who might be interested in applying, please direct them to the relevant part of the Centre’s website.  – ask not more than two academic referees to email directly in support of his or her application by the closing date of 31 October 2014. Please note that, in order to comply with work permit regulations, the successful applicant will be asked to submit a signed, original copy of his/her application and original, signed references. The selection will follow the Centre of South Asian Studies’ policy and procedure for Academic Visitors and is subject to the approval of the Charles Wallace Burma Trust and the British Council in Burma. The closing date for applications is 31 October, 2014. The Fellow is expected to take up the post at the beginning of the Lent Term 2015 (13 January 2015).